Dan Kiley (2 September 1912 – 21 February 2004) in one of the most influential american modern landscape designer. I am having a look at his projects, and specially to the Miller house. 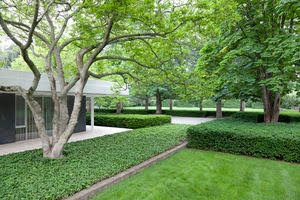 It is one of the main expresion of functionalism in landscape design.